The month of September is nearly upon us and teams will soon begin to file in for their respective training camps. 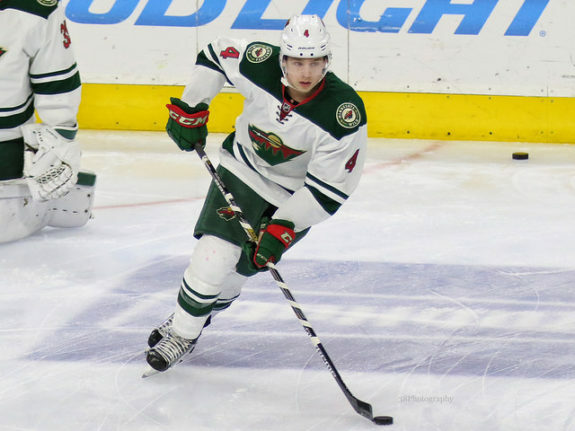 For the Minnesota Wild, this year will be quite different from the past few years. There will be a handful of new veteran faces in camp as well as the absence of others. There will also be several talented prospects who will be looking to crack the Wild’s opening day lineup. The Wild still have a majority of their core intact. Veterans Mikko Koivu, Zach Parise and Ryan Suter still lead the way along with young studs Mikael Granlund, Jason Zucker, Charlie Coyle and Nino Niederreiter. The Wild did make some changes in the offseason. 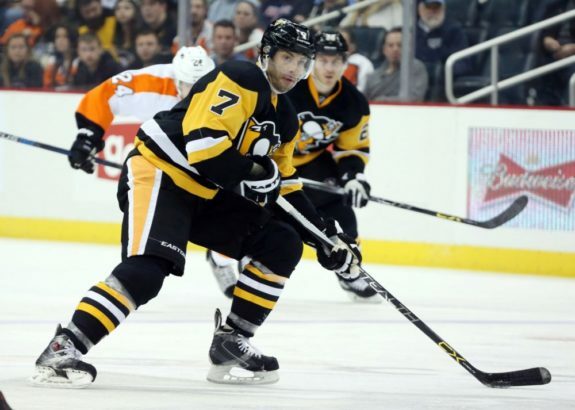 They brought back veteran Matt Cullen on a one-year deal to provide depth at the center position as well as a quality fourth-liner. The Wild also made a trade this summer with the Buffalo Sabres. There they sent Jason Pominville and Marco Scandella in exchange for Tyler Ennis and Marcus Foligno, who still remains an unsigned restricted free agent (RFA). Here we’ll take a look at who I believe will be on the Wild’s opening night roster and who has a shot at making the lineup for the 2017-18 season. With the departures of Marco Scandella and veteran Nate Prosser, the Wild have an open third defensive pairing that is up for grabs. Suter, Brodin, Spurgeon, and Dumba will round out the top four barring any injuries. Reilly and Oloffson have both spent some time playing for the Wild over the past two seasons and will have the upper hand early on to earn those final two spots. Reilly looked good at times during the 2015-16 campaign. He produced some offensively and played a pretty well-rounded game. Oloffson looked good last year in his limited time with the Wild. He looked very composed at the NHL level and could very well become a clone of Jonas Brodin in the near future. Former UMD Bulldog Carson Soucy could have an opportunity to crack the lineup. He looked good during the Wild’s development camp this summer and put together a solid college career for UMD where he scored 12 goals and 47 points in four years with the Bulldogs. Ryan Murphy could potentially make the lineup but was mainly brought in for depth purposes. Dubnyk will continue to be the Wild’s number-one goaltender for the foreseeable future. His backup, on the other hand, isn’t quite as clear. After spending his entire career with the Wild, Darcey Kuemper parted ways with the team and signed with the LA Kings. His numbers over the past two seasons had been mediocre at best and the Wild never had a reliable option behind Dubnyk. This forced head coach Bruce Boudreau to play Dubnyk much more than he would have preferred. Dubnyk is a great goalie but has shown that endurance can be an issue. He’s not the type of goalie who can handle making 65-plus starts in a season plus playoff games. The Wild need a quality backup behind Dubnyk that gives the Wild a good chance to win. For the backup spot, Stalock and Svedberg will compete. Stalock has the inside track to make the team as the backup, but if Svedberg can perform well in the preseason, there’s a chance Stalock may start the year off in Iowa. Stalock is a much smaller goaltender than Svedberg but has much more experience at the NHL level. If he can come in and start 25-30 games this year and win 16-18 of them, the Wild, as well as Dubnyk, will benefit greatly. The Wild lost some key players in the offseason. They sent prospect Alex Tuch and Erik Haula to Vegas in order to keep their young defensemen in Wild sweaters. They also sent Pominville back to the Sabres in order to make cap space to re-sign Granlund and Niederreiter to new deals. The Wild did get Marcus Foligno and Tyler Ennis in return from the Sabres, but there are still some spots that could be up for grabs. Stewart is in the final year of his deal and will likely be starting on the fourth line along with Cullen, but that all could change. Stewart did not play very well for the Wild last year. His puck handling was poor and he was unreliable defensively. The door definitely is open for a younger player to step in and take Stewart’s spot. Joel Eriksson Ek is not a guarantee, but there is a good chance that he takes the third-line center role this season, especially with Haula now in Vegas. Foligno still has not signed a deal with the Wild, but when/if he does, he would likely fill in the fourth line on the wing. Ferraro is a solid AHL player and will provide some much-needed depth down in the minors, but may have a shot at a fourth-line role depending on how the preseason goes.